The Church Policy for Safety is a 6 page document which includes 2 disclosure forms. This policy is for workplace safety and can be used as a model or sample for your church to create their very own policy. It does not cover every issue that you may want to consider in the development of such a policy. Nor does it reflect the law of each and every state. 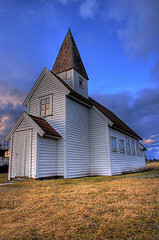 Consistent with the practice of local churches and other settings are encouraged to consider adopting policy as adapted, revised, or changed to meet their own unique circumstances, state laws, or other factors. It is very important that the policy you adopt and implement complies with applicable federal and state laws regarding employment, privacy, and inquiries regarding criminal history. All laws are subject to change from time to time by action of state legislature, Congress, and state and federal courts. Therefore, you should develop and periodically review your policy with the assistance of persons knowledgeable in these laws. You are encouraged to consult with your own legal counsel and professional advisers before adopting any policy for workplace safety. Return to Church Policy Manual from Safe Church Policy and Disclosure Forms.